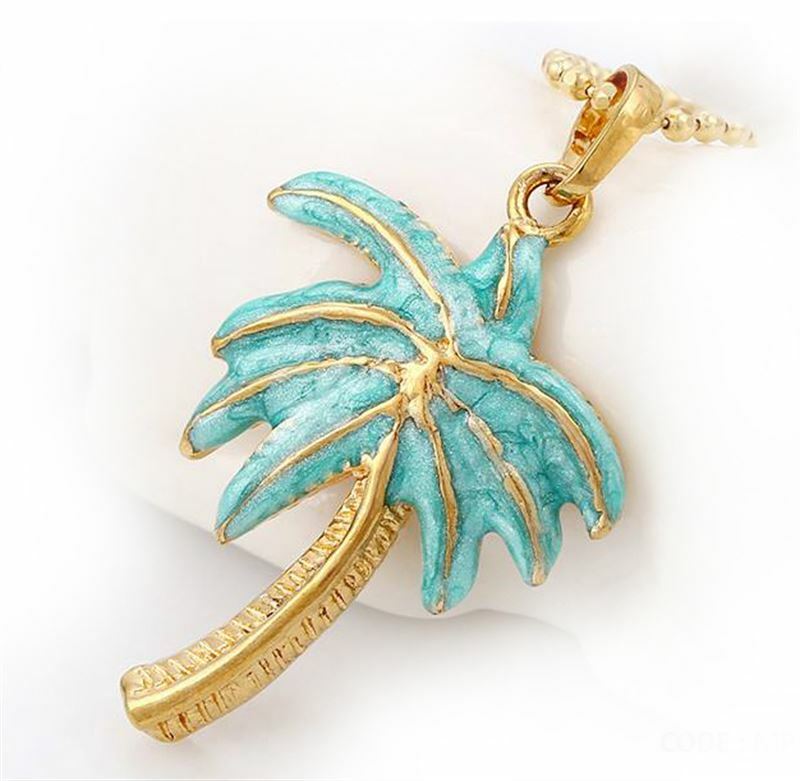 Coconut Tree Pendant. Comes without chain. Color does not fade. The pendant size about 35*20 mm. The weight of pendant is about 2.94 g.